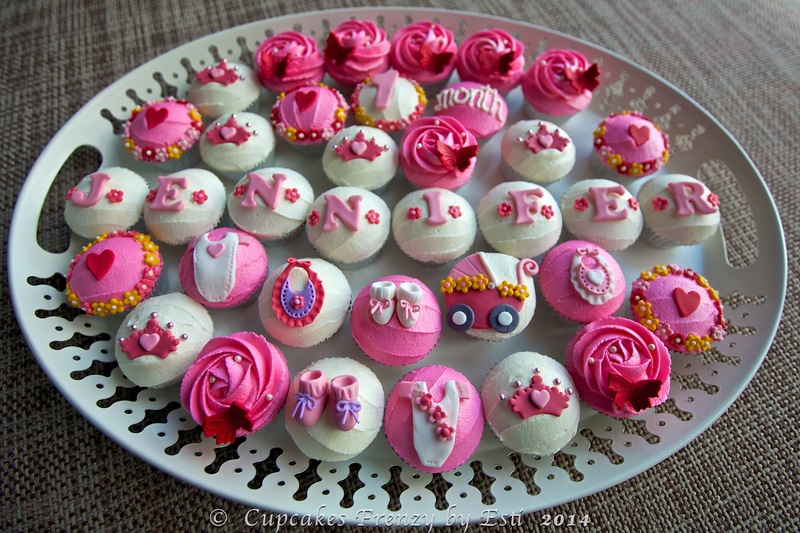 What is tiny, pink, cute and delicious? Mini vanilla cupcakes with buttercream frosting of course. 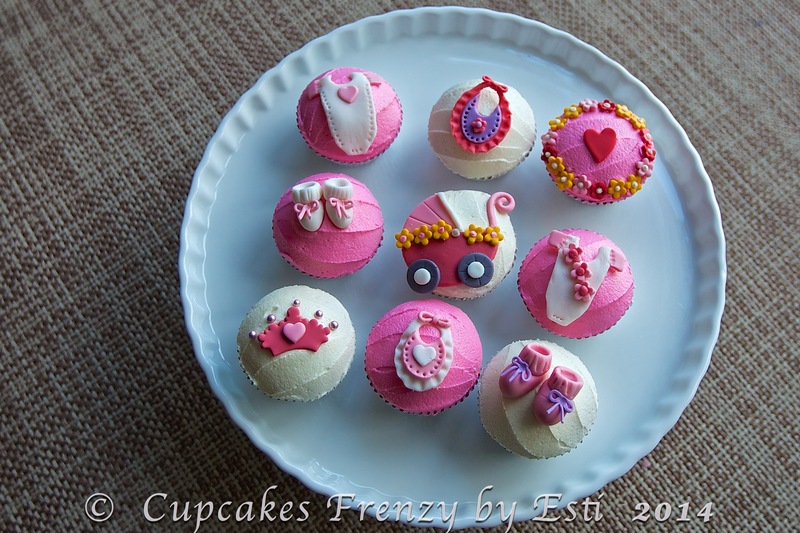 I had so much fun creating these baby theme cupcakes for Yessi’s daughter. Made baby booties, onesies, tiaras, tiny flowers and baby stroller (my personal favourite!) as a topper, they are super tiny in size. Congratulations for the arrival of baby Jennifer to Yessi and Christopher, have a great celebration. This entry was posted in buttercream, cameraholic, celebration, Cupcakes, favorite, note from the baker and tagged 36, baby booties, baby booties cupcake, baby stroller, baby stroller cupcake, baby theme cupcake, buttercream frosting, celebration, cupcake, Gift Ideas, love, Manila, mini cupcake, tiny flowers, vanilla. Bookmark the permalink.